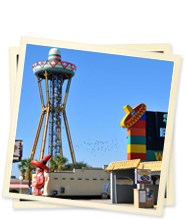 South of the Border tourist attraction has been a landmark in Dillon, SC for over 60 years. With such a long rich history, there have been many cards, posters, trinkets and memorabilia associated with Pedro and The Border. 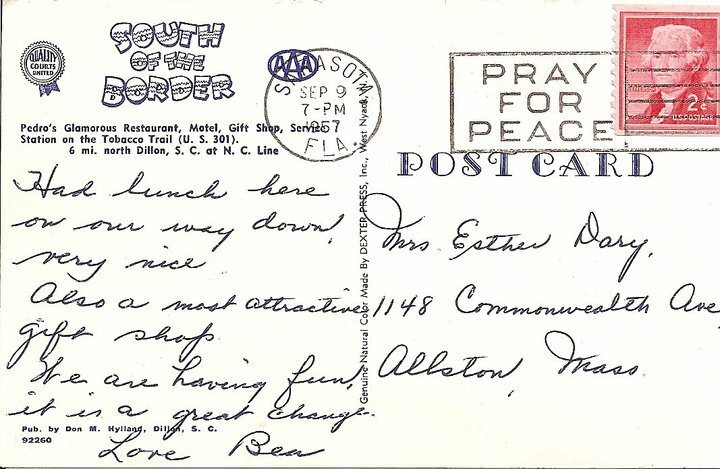 Many people have collected these items over the years, and occasionally the drop us a line or email to share their treasures with us. We have some great photos on our website that reflect the changes and growth of South of Border over the years. But that is only a small fraction of the images out there in cyberspace. 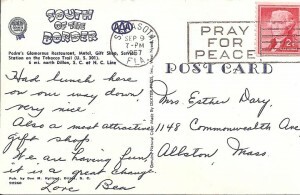 We recently received a picture of a 1957 post card on our Facebook group from a person who collects memorabilia about Hwy 301. 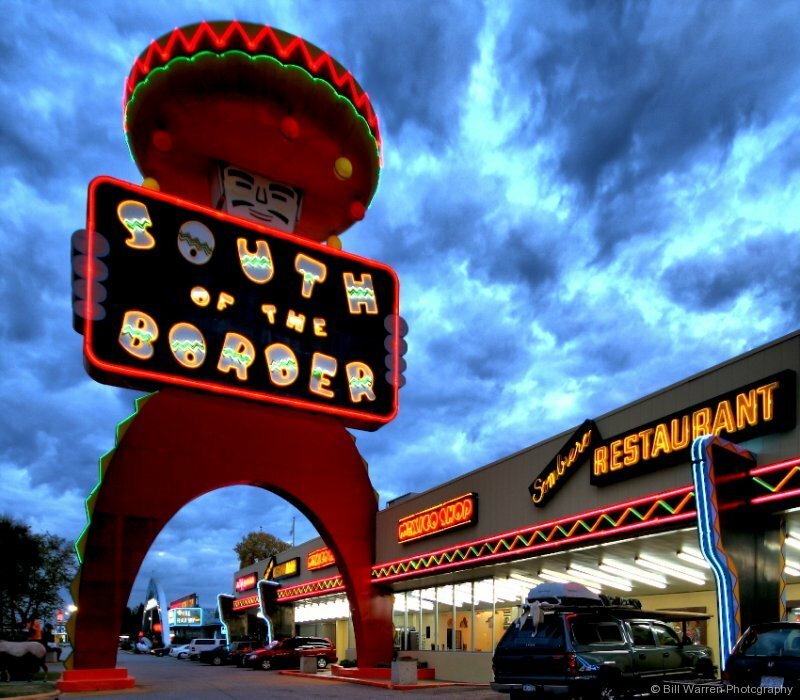 This highway is the original location for South of the Border, and was the way all our travelers came to us. This changed when Interstate 95 became the main north/south highway in the area years later. He has quite few more photos and post cards on his profile and we thank him for sharing them with us. Here is a collection of early billboards from our Facebook group too. We believe these are from the late 50’s and early 60’s as well. And this shot of the motel lobby and giant Pedro sign is from the 60’s too, judging by the sweet, sweet rides in the parking lot. Speaking of sweet rides, check out the photo album that showcases all the Mustangs from the car show held every year on the grounds of South of the Border. It has pictures of Mustangs and Fords from several decades. The Round Up at the Border event raises money for charity every year, and continues to attract more and more muscle car enthusiasts from across the country. To stay connected to all the events, news, photos and fun at South of the Border, subscribe to our Twitter feed, join our Facebook group and follow our blog.